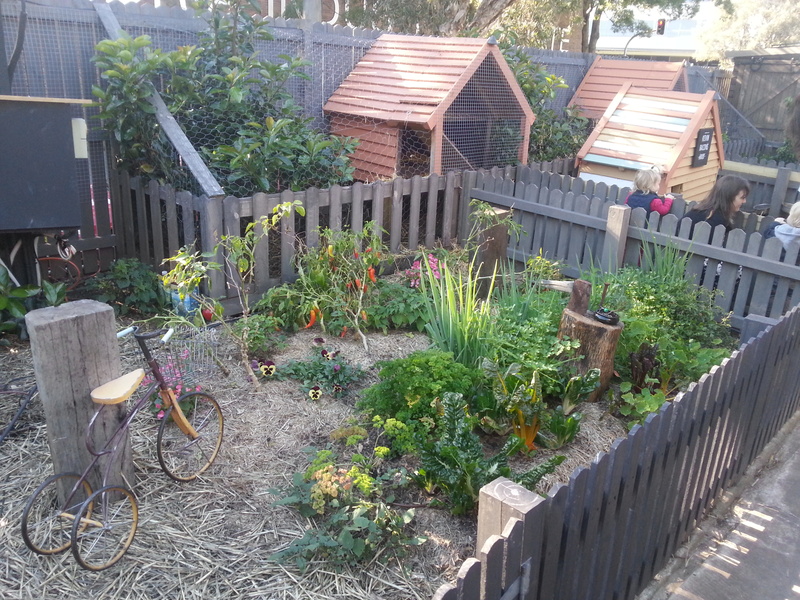 The Grounds are onto an absolute winner! The transformed warehouse in Alexandria is heaving with everything that is good in food, coffee and the artisan gourmet culture. 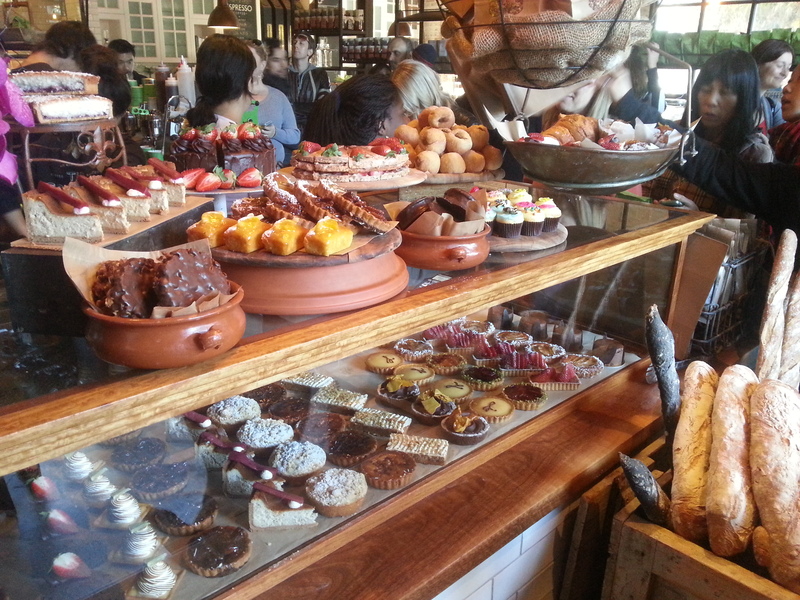 The hysteria around this establishment has not declined since they opened their doors to the public in April 2012 as the hungry hordes turn up day in day out to not only sample the abundance of decadent food and coffee but take part in what is a well-rounded gastronomic experience. The internal, high ceilinged dining area is made up by a series of rooms, each as interesting as the last. 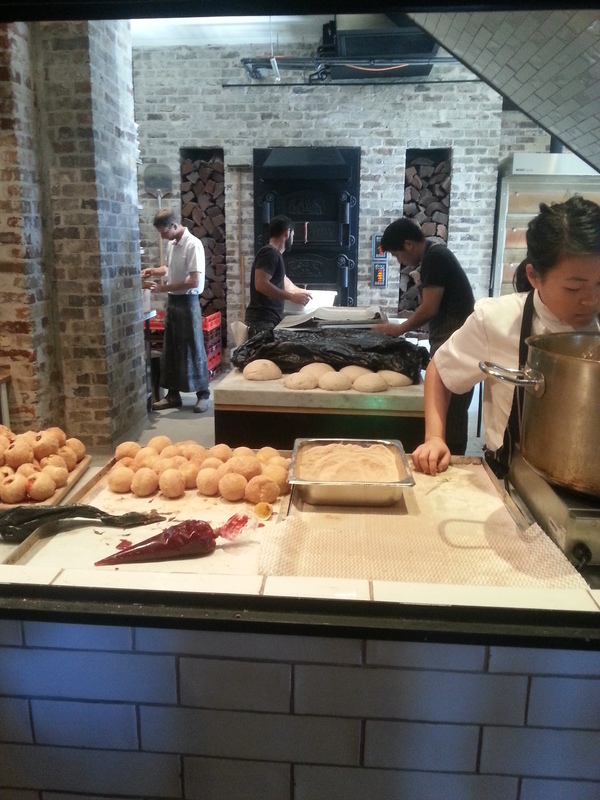 The bustling main room is overlooked by the busy kitchen and artisan bakery. As you snake your way through the dining area, you come upon a small intimate room that also houses the intricate roasting machines. We were seated in the main dining area and as I sat back in my chair, sipping on my first flat white for the day, my nostrils filled with the smell of freshly baked sourdough and cinnamon jam donuts: a combination that can only result in happy thoughts. The menu at the Grounds is a well thought out combination of traditional favourites with an artistic twist. I opted for the Truffle Scrambled Eggs with Field Mushrooms, Roasted Leek and Sourdough (please take a moment to wipe the drool from your chin). 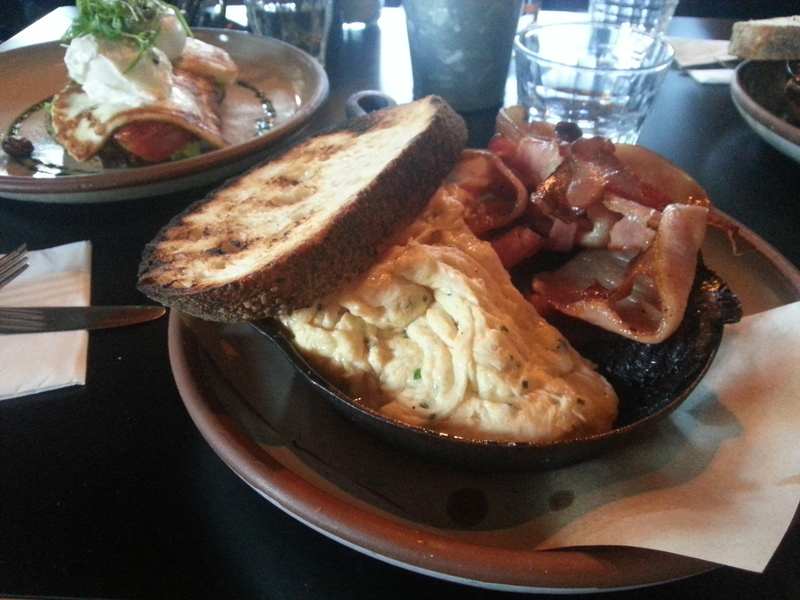 We also ordered the Turkish Style Eggs and Smashed Avocado, Haloumi and Poached Eggs on Sourdough. We arrived early to ensure that were got a table but within 15 minutes, the line-up outside was beginning to make its way around the building and the noise of waiting families began to grow. It became apparent that this is not the venue to bring the newspaper and spend a good few hours reading and sipping coffee. 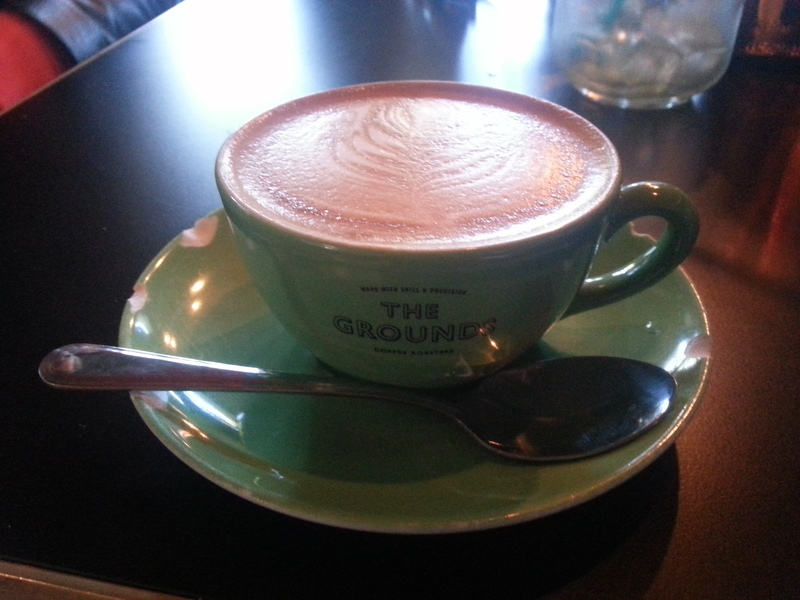 The Grounds is a busy eatery that is successful at quickly turning over tables. Once we had finished our breakfast and third round of coffees we made our way outside to the market and gardens. For me, the outdoor market area is what truly sets The Grounds apart from the rest. The sight of cheese, fresh produce, cured meats, tarts and pastries and freshly cut flowers laid out on wooden carts and tables took me back to my time in Europe where life revolved around excursions to local markets. The outside area also has a few little outlets where you can pick up a takeaway coffee or pastry to sip and nibble on as you meander around the gardens. 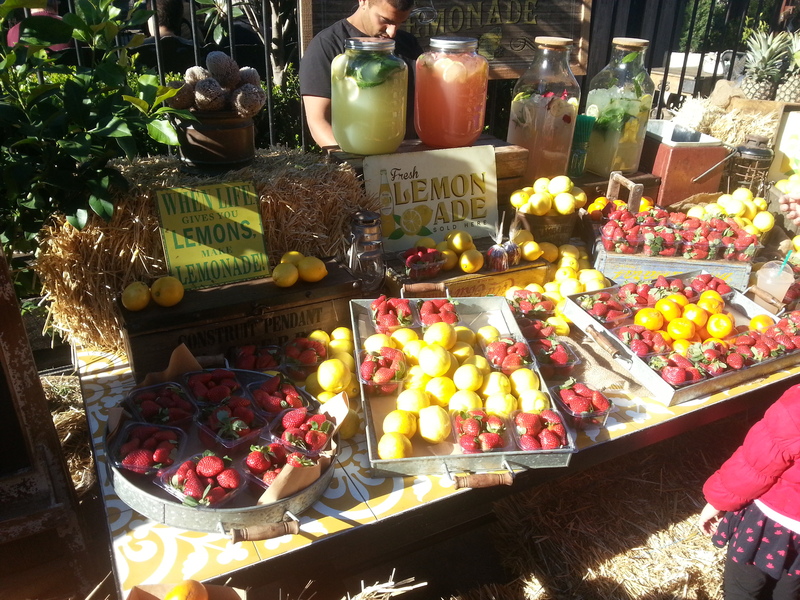 The Grounds are clearly onto a winner with their restaurant come market place. The time and money that must have gone into this establishment seems to be paying off as evident by the renowned line-up, crowds and parking struggles. If you fancy yourself a coffee connoisseur and enjoy eating out, The Grounds needs to be bumped up towards the top of your to-do list. The coffee is great, the food delicious and the experience one that will become a yardstick for future brunches/ breakfast adventures. My only tip, get there early to avoid the crowds. The bakery with jam-donut production in full flight! 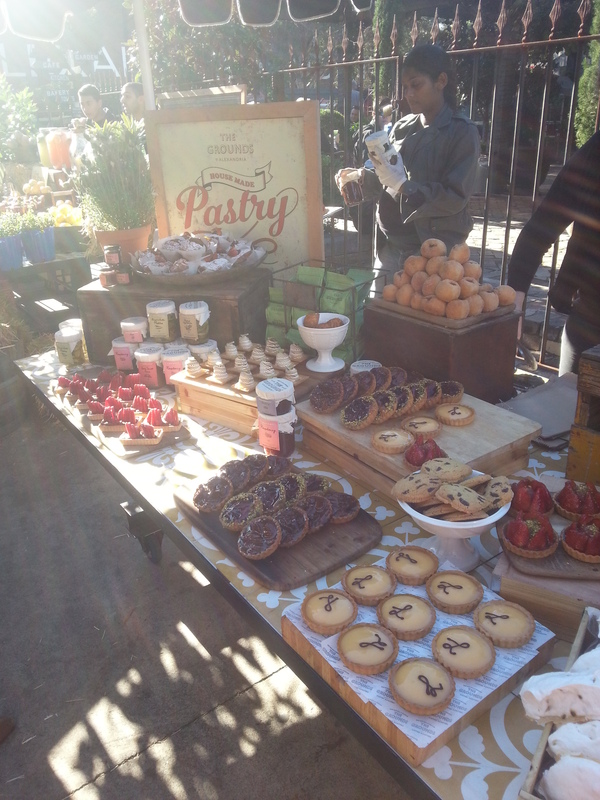 All the cakes, tarts and treats you can eat, so leave room! 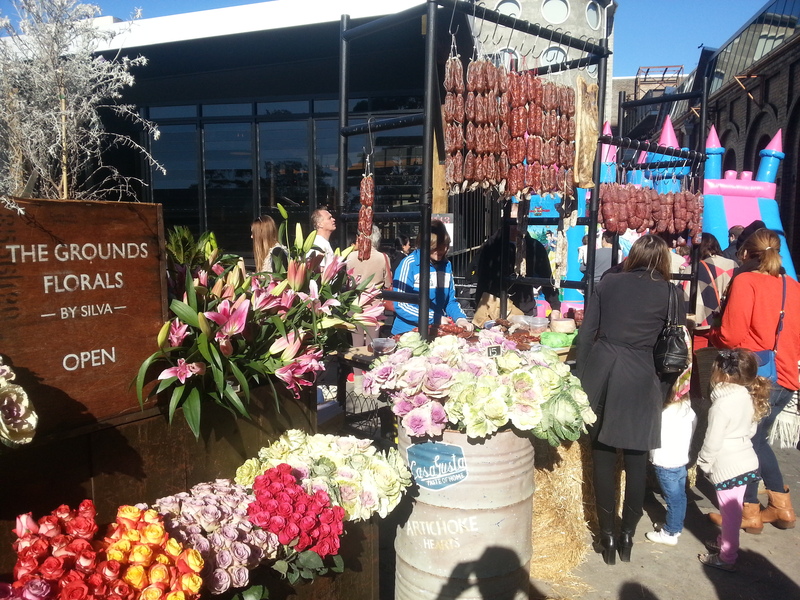 Outdoor flower stall and cured meats…free samples for all! 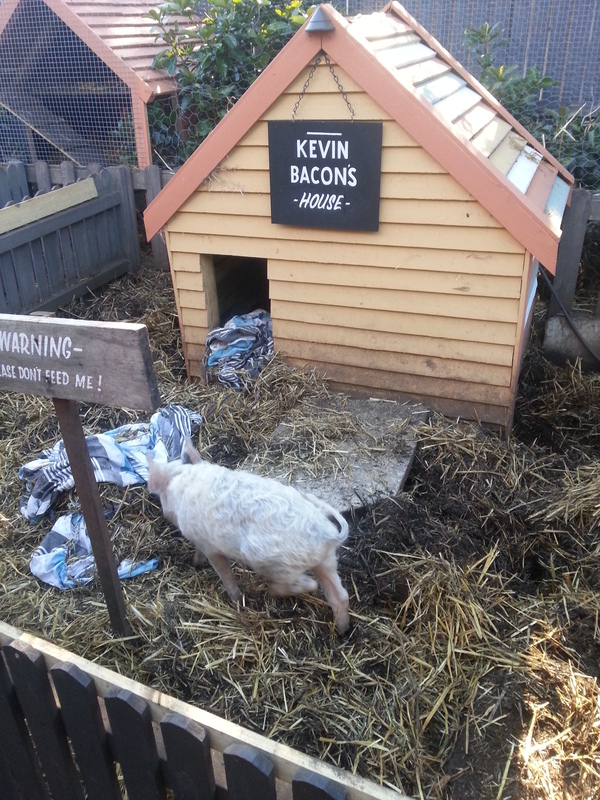 Note: Kevin Bacon was not harmed or eaten in the production of this post. To receive automatic notifications direct to your email, just click the Follow icon…come on, you know you want to. Yes it is very clever. I must admit, I felt a bit bad watching him after eating a plate full of bacon!